Lawmakers from both the government and opposition expressed dissatisfaction over the suspension of the proposed 5.5 km long tunnel from Suduhumpola to Tennekumbura on the left bank of the Kandy Lake as a solution to the Kandy traffic congestion. During the course of the Committee Stage budget debate in Parliament yesterday,Public Enterprise, Kandyan Heritage and Kandy Development Minister and Leader of the House Lakshman Kiriella said Cabinet approval had been received to construct a 5.5 kilometre long double-lane tunnel from Suduhumpola to Tennekumbura in Kandy with financial assistance from South Korea’s Economic Development Cooperation Fund. “The Korean Government is ready to give us the money for this project even tomorrow. However, certain parties have frightened some of our ministers, claiming that the Dalada Maligawa would collapse and the water in the Kandy Lake would dry up. Hence, due to this false fear, the project has been temporarily halted. In every developed city the world over, there is another city underground. South Korea is well known for such underground constructions. Hence, I hope that this baseless fear would be cast aside and we will be able to continue with this project which will be beneficial,” Minister Kiriella said. The proposed tunnel will consist of two interchange points and help to reduce traffic congestion in the Kandy City and nearby areas. The government had planned the construction of the tunnel according to international standards and have safe parking and exit-entry facilities, according to ministry sources. Meanwhile, expressing his displeasure over the suspension of the proposed Kandy tunnel, Opposition MP Keheliya Rambukwella said in 2013 it the tunnel from Heerassagala to Bowala had been discussed. “It’s shameful that after eight years, we are still only talking about it. There is nothing that cannot be done. If you go to Korea or France one would see how many tunnels there are. In Seoul, South Korea, there is an entire underground city. If we are to surrender to mythical beliefs, then our country will not progress and it will only regress. Back then, we discussed with the ADB about funding and we prepared estimates and had completed the ground work. This tunnel is an essentiality. The traffic congestion around the Kandy Lake and the respiratory illnesses in children caused by pollution is significant. If you take the investment for this project, I feel that it can be recovered before 10 years considering the fuel wastage costs, spare part costs and other expenses as a result of this heavy congestion and its health hazards. Many have lung or respiratory issues. The road near the Kandy temple was closed, but there is no point in talking about that now. However, the suspension of this tunnel, which is an alternative to the traffic congestion, is totally unacceptable. There need not be party or colour in carrying out development. Irrespective of which party is in power, the baton should be carried forward and these development projects must continue,” added Rambukwella. Some Government School Principals and Zonal Education Directors have made arbitrary changes to the school uniforms inconveniencing the children, JVP MP Bimal Ratnayake said in Parliament yesterday. He requested the attention of the authorities to correct the irrational changes to the school uniform of boys. “Certain schools have added a waistcoat to the school uniform. Some schools have added a tie. I saw some children playing in the grounds dressed in tie and long sleeves. It was not long ago that there was a hot weather alert. Our traditional school uniform is short sleeve shirt and blue short for boys, and this is to suit our climate. Why make unnecessary additions to it and inconvenience the children when it is not a ceremonial event?” he asked. MP Ratnayake, speaking during the Budget debate when the Expenditure Heads of Science, Technology and Research Ministry were taken up, also highlighted the need to enact a new law to control the businesses that promote mythical believes. “We need to bring intorduce a law to control activities such as soothsaying, black magic, charms, mantras for success in exams etc. There are businessmen who deceive the people in the names of such activities. Despite the scientific base behind such activities, there are people who often seek their help and get into trouble. This is a menace that must be controlled. I request the Science and Technology Ministry to come forward to bust these myths,” MP Ratnayake said also narrating a few stories of persons who had got into trouble due to such deception. Science, Technology and Research Non Cabinet Minister Sujeewa Senasinghe replied that the Ministry plans to take some initiative in that regard to control unscrupulous activities. President Maithripala Sirisena has not given his consent to co-sponsor the UNHRC Resolution to extend 2015 Resolution by another two years, UNP MP Dr. Wijeyadasa Rajapakshe said in Parliament yesterday. The MP, who recently crossed over to the Opposition, said that it is the President who has the powers to decide as to whether the country should co-sponsor an international agreement or not. The MP taking the floor during the Budget debate said that cosponsoring 2015 resolution was an “unwise act”, adding that he told Minister Mangala Samaraweera, the US, the UK and the EU delegations that it was not in line with Sri Lanka’s Constitution. “Under the previous administration, MP Sajin Vaas Gunawardena, who oversaw the Foreign Affairs Ministry, was above Prof. G.L.Peiris and he was allowed even to exert muscle power against anybody. That was how the previous government handled foreign policy. The same happens even today. Foreign Affairs Minister Thilak Marapana or Ministry Secretary Ravinatha Aryasingha is not aware of most of the decisions. The decisions related to the foreign affairs are taken at the Finance Ministry. Some of those meetings were held at the Official Residence of the Finance Minister with the participation of his close associates and NGO-men. Today, Senior Advisor Mano Tittawela is the one who gives instructions to our Ambassador in Geneva. 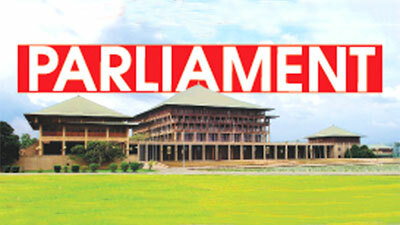 What authority he has to decide the country’s foreign policy,” MP Rajapakshe questioned. MP Rajapakshe further alleged that Singapore was concealing former Central Bank Governor Arjuna Mahendran because of the Free Trade Agreement (FTA) with Singapore from which it reaped a host of benefits. During the previous government’s tenure in 2012, 2013 and 2014, three proposals were passed by the United Nations Human Rights Council against Sri Lanka. We were isolated internationally and had Mahinda Rajapaksa won the election in 2015, the country was facing the risk of having economic sanctions imposed against it. Even MP Mahinda Samarasinghe acknowledged it, Public Enterprise, Kandyan Heritage and Kandy Development Minister and Leader of the House Lakshman Kiriella in response to allegations levelled by Opposition MP Dr. Wijeyadasa Rajapakshe in Parliament yesterday. “This was the situation we faced when we assumed power. However, we discussed this issue at length and to reduce the international pressure on our country,” he noted. In the proposal, Kiriella pointed out that the UNHRC had praised Sri Lanka’s efforts over the past three years. “Although MP Dr.Wijeyadasa Rajapakshe is blaming us for co-sponsoring the UN resolution, he has not read the contents of it. The resolution has praised the measures taken by Sri Lanka and reaffirmed the commitment to the unity sovereignty and territorial integrity of the country. The UNHRC had also welcomed the setting up of the Office of the Missing Persons, the special visits made by the Special Repertoire, noting with appreciation the return of some private lands, the special steps taken by the government of Sri Lanka to implement the human rights council resolution, noted with appreciation the comprehensive report presented by the United Nations Human Rights Commissioner at the 40th session and welcomed the positive engagement of the government of Sri Lanka with the Human Rights Commission. Hence, whether or not we co-sponsor the resolution is another matter, but I first ask you to read the document,” he told MP Wijeyadasa Rajapakshe. The Minister noted that nothing unfavourable will come off this resolution to Sri Lanka. “Taking into consideration the factors included in this document, it is clear that the UN has appreciated the efforts taken by our government over the past three years.We cannot be at loggerheads with the international bodies eternally. We are a small country and we must get along internationally. As we discussed at the steering committee, we could devolve power to strengthen the provincial councils. He noted that the opposition is now talking about War Heroes, but it was Mahinda Rajapaksa who imprisoned the country’s key War Hero Sarath Fonseka. “There is no need to talk about whether or not they would be sent to face international charges. That is a matter for the future. Sarath Fonseka was the country’s foremost War Hero. It is because he was capable that Mahinda Rajapaksa overlooked three others above him and made him the Army Commander. It was he who was instrumental in winning the war. But as he wanted to contest the Presidency, he was dragged and dumped in jail. Their intention is not to safeguard the War Heroes, but to use them for their own petty political gain,” Kiriella said. However, he pointed out that the important factor is that the UNHRC has appreciated and commended the efforts taken by the government over the past three years. JVP MP Dr. Nalinda Jayatissa yesterday in Parliament queried as to why the Finance Ministry failed for four years to collect Rs.50.6 million due as taxes from the distillery owned by Perpetual Treasuries (PT) owner Arjun Aloysius. The MP said that the distillery owed Rs.50.6 million as at May 21, 2015 as taxes to the Excise Department. “Several committees were appointed to look into the issue, but the funds have not been collected. Why the ministry does not collect these funds?” the MP asked. Finance State Minister Eran Wickramaratne said that the government officials would strive to collect taxes due from any businessmen and there was no special treatment for Aloysius. He added that there could be legal reasons for the delay and once the legal issues were sorted out the due process would take place. MP Jayatissa said that an approval of the Excise Department has been sought for a proposal to get a toddy tapping permit for 70,000 coconut trees in Beruwala. “Six MPs and Ministers including some in the previous government have influenced the Excise Department to issue the permit. Of those 70,000 trees, the permit for 38,000 trees had been sought by a company belonging to Arjun Aloysius,” he said. “This is actually an attempt to produce artificial toddy using the permit. Excise Department officials do not give the permit because they know the truth, but politicians are pressuring them. What would your ministry do to prevent these influences?” he asked. State Minister Wickramaratne undertook to look into the matter stating that he was not aware of any influences. Students who want to pursue a degree or any qualification related to Information Technology can obtain a loan of Rs 1.1 million through the Information and Communication Technology Agency of Sri Lanka, State Minister of Finance Eran Wickramaratne said in Parliament yesterday. He said there are several students who don’t have finances to pursue a higher education, through the ICTA programme. Students can obtain a loan worth Rs 1.1 million, under the programme called CERT. In the Budget proposal, Finance Minister Mangala Samaraweera said in the concept of Arts to Science, there are several students in the Arts Stream who can pursue a qualification in IT and get jobs in well paying companies. He added, a sum of Rs.25,000 per month, which adds up to Rs.300,000 a year is allocated for graduates. Through this programme, these graduates can progress to the highest level and the budget has allocated more funds for this programme. “In 2002 when Prime Minister Ranil Wickremesinghe and former Minister Milinda Moragoda, asked how the resource of Information Technology can be used. While working in the bank, the E-Sri Lanka project was created and I had the opportunity of being its first Chairman. In 2004, due the change of government,I tendered my resignation as Chairman eventhough it was not accepted. I even spoke to the World Bank and secured USD 60 million for the government who was in power to take the digital programme work forward. Unfortunately, in 2005 digital revolution met its end. Through this digitalization process we wanted to develop the export trade,” he stated. In the export trade, the IT industry is in fourth place. Within a short time there is a possibility for it to reach the first place. There are two young and dynamic individuals in Ministers Sujeewa Senasinghe and Ajith Perera who can take this country’s digitalization aspect forward. Last week, the Prime Minister had handed the system of providing birth certificates, death certificates and property deeds through a one day service through this digital revolution. Through this digitalization revolution we can develop the IT sector to a greater scale, but the hindrance there is a demand, but we are lacking supplies. State Minister Wickramaratne further emphasised, on the protection of information and laws to be imposed, matters concerning online content. Quoting the incident of the recent Christchurch massacre in New Zealand, the shooter livestreamed the massacre. UNP MP Dr. Wijeyadasa Rajapakshe, who recently crossed over to the Opposition, raised objections in Parliament yesterday against a statement by SLMC Leader and Minister Rauff Hakeem that the country lacks adequate legal provisions to curtail hate speech. “When you make a representation to an Ambassador of a country in the European Union that we lack a law to curtail hate speeches in this country that raises a very serious concern. This happens at a time when Sri Lankan issues are being discussed at the UNHRC. The Leader of the House must clarify to the House as to whether this represents the Government stance. Our Penal Code was adopted in 1883. Two of its Clauses, 290 and 291, deal with the hate speech and it is an offence where two-year imprisonment can be imposed. Minister Hakeem’s statement is untrue and misleads the international community. Who takes the responsibility for that?” he asked. MP Rajapakshe observed that he drafted an Amendment to broaden the hate speech provisions of the Penal Code when he was the Justice Minister as Human Rights Organizations, TNA and SLMC repeatedly said that the hate speech provisions were not satisfactory. I presented it in Parliament in December, 2015 but the TNA challenged it in the Supreme Court and the SLMC was against it. Therefore, I told the Supreme Court through the Attorney General that we do not want to pass it in Parliament. How can Hakeem now claim that we lack legal provisions to curtail hate speech?” MP Rajapakshe questioned. Opposition Leader Mahinda Rajapaksa should be summoned by the CID to explain his comments regarding the events which led to the death of rugger player Wasim Thajudeen, said State Minister of Highways and Road Development Ranjan Ramanayake in Parliament yesterday. He noted that Rajapaksa had revealed certain details pertaining to the death of the ruggerite during an SLPP event in Kegalle at a juncture when the current government has launched an investigation into the death of Thajudeen classifying it as a murder. Ramanayake said that Rajapaksa had stated that the car which Thajudeen was driving had been travelling at a speed of 175 KMPH. Referring to these remarks, Ramanayake during the committee stage debate in Parliament said that Rajapaksas statement on Thajudeen’s murder amounts to contempt of court as he has contradicted what court has already determined in this regard. “I request CID Director Shani Abeysekara and DIG Ravi Seneviratne to take this matter seriously and record a statement from Rajapaksa. Any man with common sense knows that one cannot go at 175KMPH on Park road. While the court had determined that this was a murder, Rajapaksa is disproving the court verdict and calling it an accident. Not even those engaged in night races go at that speed. On the other hand Thajudeen’s body was not on driver’s seat and was on passenger seat,” Ramanayake said while noting that Thajudeen had even a bought a water bottle from a supermarket 22 minutes prior to the accident. “It seems like Thajudeen decided to buy water and throw away his wallet and phone some five kilometres away prior to crashing his vehicle on a parapet wall,” Ramanayake said. He said the post-mortem examination had determined that several bone fragments in his body were also missing. “It is strange how Thajudeen had played rugger without several bones in his body. While several specialist doctors had determined that this was a murder, Dr.Mahinda Rajapaksa says that this is an accident and nothing but a plot to implicate his sons in Thajudeen’s murder,” Ramanayake teased.